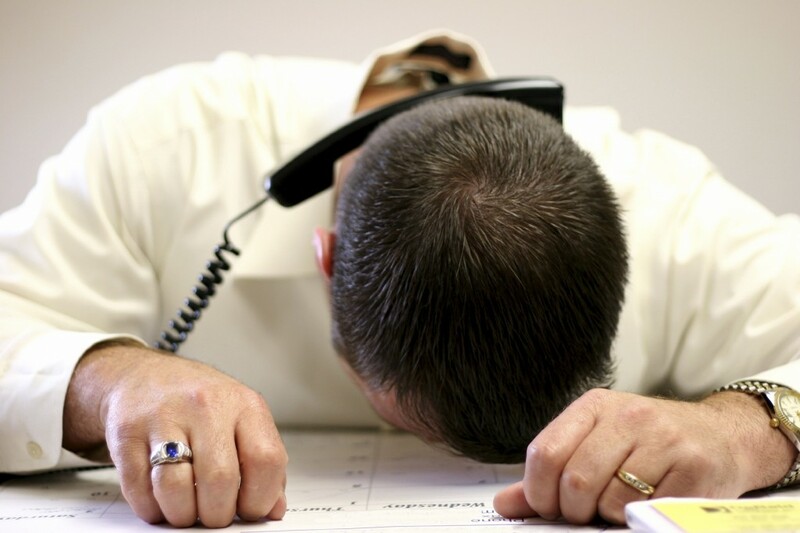 Over 90% of prospecting phone calls end in voicemail. Here’s how to use them to your advantage. I had to get this out of the way because I still run into some salespeople who have been trained (poorly albeit) to “never leave a message”. This makes no sense. Why would you give up the opportunity to get your valuable message into your customer’s ear? I actually prefer to get voicemail on the first attempt. Why? Because it paves the way for my next call. It gives the prospect the purpose of my call and what’s potentially in it for him to have a conversation with me rather than just catching him off guard. Think about it. When you are interrupted from doing something by an incoming sales call, what’s the quickest and easiest way to get back to what you were doing? That’s right—by saying no. Have you ever quickly said “No thanks” to a telemarketer or a door canvaser and then thought later, “Hmm. I might have been interested in looking into that actually.” Even if it may be something you might be interested in buying, the natural knee jerk reaction is to say no. By having your prospect listen to a well crafted voicemail prior to speaking with you, it can prevent the knee jerk reaction. There must be a reason and perceived benefit for the listener to take time out of their busy day to have a conversation with you. Too many salespeople position the voicemail around how great they or their company is instead of what might be in it for the prospect to call you. Your first goal in a chase call or voicemail should be to have a two-way conversation. Salespeople shouldn’t ask for a meeting without having first established G.A.S.—that is, value that they may be able to Gain for the prospect, future issues they may help them Avoid or current problems that they might help them Solve. A voicemail should be requesting a very low commitment—a brief conversation to see if there might be a fit between some challenges the prospect has and your company’s capabilities for instance. Some salespeople are against using a phone script. Common reasons are, “It sounds so fake”, “You can’t predict what the prospect is going to say”, or my personal favorite, “I like to mix it up so I sound fresh”. Unfortunately, these same people have little success in booking appointments and after listening to them in the field, it’s easy to see why. Their voicemails are all over the map: convoluted, weak and generally pointless in nature. Yes, some people sound like they are reading when they use a script but only because they haven’t put the time in to practice it until it sounds natural. I do a little bit of amateur acting and on the first read-through of our scripts, it’s terrible. I sound 100% like I’m reading and I am! After rehearsing my lines hundreds of times over, however, it becomes a different story on opening night. A high priced Hollywood actor would never ask to roll the cameras until they know their lines down pat and neither should you. If you call your prospects once every few weeks, it’s easy to become forgotten. On the other hand, if you only leave a couple of days in between your calls to a prospect, you will be forefront and they will feel more compelled to respond. At the end of each voicemail you should say something like, “If I don’t hear back from you by say, end of day tomorrow, I’ll try you again at 10:15 on Thursday.” Your prospects will get the idea very quickly that you’re not going to be giving up anytime soon. Strike a reasonable balance between being persistent and pesky. If you act like a lesser business person begging for the prospect’s consideration, you have reduced yourself and the prospect can lose respect for you. You are one business person requesting to speak to another business person to see if there may be a mutual benefit of working together. Approach the call from an Equal Business Footing (E.B.F.) perspective. Picture how you might speak to another person you meet in a park while walking your dogs together. You wouldn’t be pushy or threatening. That’s how you should think of your prospect when you’re leaving a voicemail. If you sound relaxed, confident, open and honest, your prospect will be much more likely to want to speak with you. Northbound’s “Connecting to Mr. Big Cheese” workshop teaches your team how to dramatically increase the number of meetings booked with potential new customers. To enquire about fees and details, contact Michael at 416.456.1440 or mcaron@northboundsales.com.